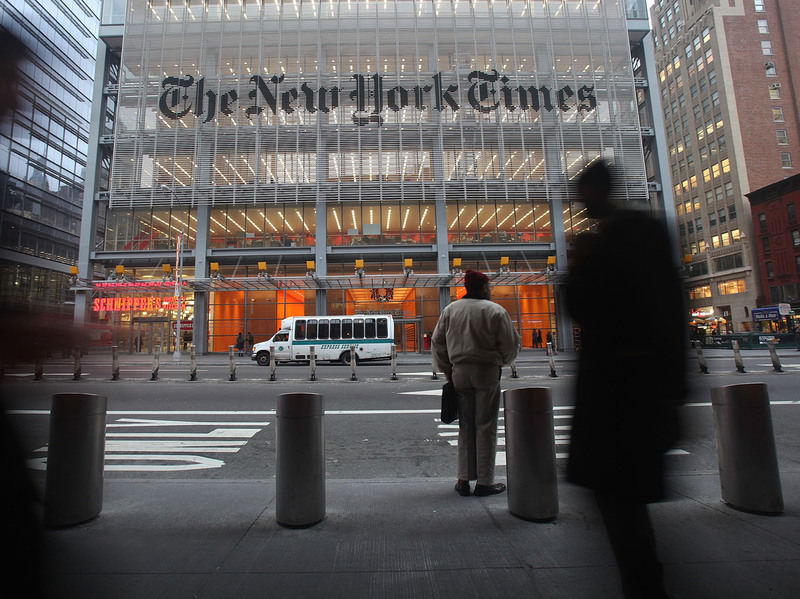 What has happened to the crusading zeal of the New York Times? A team of a team of undercover freelance investigative journalists called the Center for Medical Progress has been making life miserable for abortion provider Planned Parenthood over the past few weeks. It has released four videos in which senior figures in Planned Parenthood calmly discuss the market in foetal parts for scientific research. There are stomach-churning scenes of laboratory workers carefully sifting through shreds of a tiny human body for commercially valuable material. Planned Parenthood has vehemently denied that it is breaking any laws by supplying human hearts, livers, brains and other organs. But after watching the videos some Senators and Congressmen are vowing to do everything they can to defund the organisation, even if it means shutting down the government. (Admittedly, they are all Repubicans.) At stake is more than US$500 million in Planned Parenthood’s funding from the government. David Daleiden, the spokesman for the CMP, says that several more videos are on the way, although courts have slapped two injunctions on the group to keep it from releasing them. This kind of power and publicity is every journalist’s dream. When Julian Assange and Edward Snowden illegally released confidential government documents, they appeared on the front page of Time magazine. The New York Times editorialised about Snowden’s leaks: “He may have committed a crime to do so, but he has done his country a great service.” It argued that he should be pardoned or just given a slap on the wrist so that he could continue to speak truth to power. For the record, I didn’t support the actions of Assange or Snowden and don’t support Daleiden’s deceptive tactics either. In the long run, breaking the law (or stretching it to the breaking point) is going to be counterproductive. Still, the information gathered by all three has exposed shocking abuses. And in the case of the CMP videos, even fervent supporters of “legal, safe and rare” abortion will be revolted by the commodification of human life. How did the Times respond? Well, actually, that’s not quite the case. It’s an attempt to see whether the donations are in fact legal and voluntary. Journalists tend to do that sort of thing. Being sceptical about bland reassurances from organisations with budgets of over $1 billion is widely recognised as part of their job description. Large organisations like the National Security Agency (or Planned Parenthood) tend to deny that they ever have done, are doing or ever will do anything which is nefarious and illegal. That’s what their public relations staff are paid to say. Real journalists, on the other hand, are paid not to take what they say at face value. Even if the Times supports abortion, it should still probe Planned Parenthood's good intentions. The United States had the best of intentions when it invated Iraq. And then there was Abu Ghraib... It is tragic that America’s paper of record has become an unpaid extension of Planned Parenthood’s PR office. Can we stop making terrorists and shooters famous? What’s wrong with the web and do we need to fix it? This article is published by Michael Cook and MercatorNet.com under a Creative Commons licence. You may republish it or translate it free of charge with attribution for non-commercial purposes following these guidelines. If you teach at a university we ask that your department make a donation. Commercial media must contact us for permission and fees. Some articles on this site are published under different terms.